Amplifying the legacy of architectural photographer Julius Shulman in the context of his vital twilight years, Eric Bricker’s art-doc Visual Acoustics gives a convincing, contagious taste of its protagonist’s playful optimism. Not content merely to roost in the dense, overgrown garden of his Los Angeles home, Shulman is seen peering through his lens at Frank Gehry’s new Disney Concert Hall, revisiting the mid-century modernist buildings he made into icons (like a glass-box house in the Hollywood Hills from an immortal 1960 nocturnal shot), and rather regretfully preparing his archives for shipment to the Getty Museum. Bricker, despite the presence of Shulman’s supportive and amiable daughter, mostly steers clear of the fotog’s tempestuous side and family history (his wives receive one passing mention each) in favor of his life’s work (“What else is there?” asks Shulman in a ‘70s TV interview). 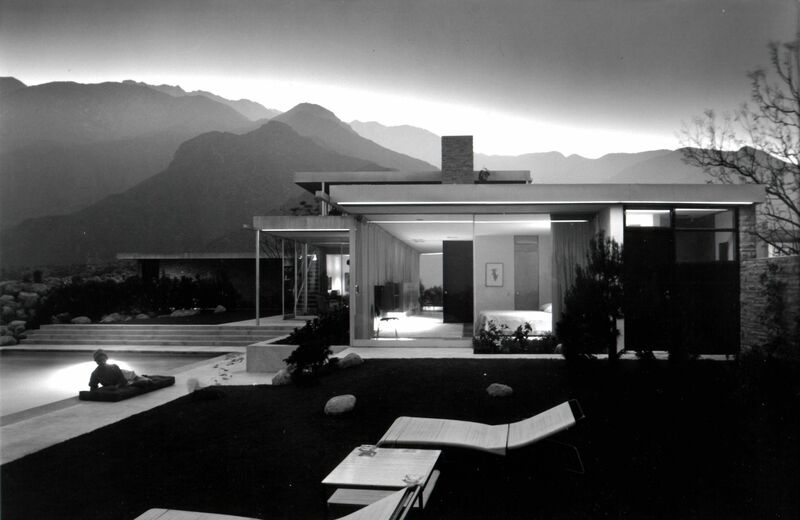 Tracing his artistic path from his initial pictures of new buildings in the ‘30s and his recruitment by architect Richard Neutra to serve as “a filter” to promote modernist ideas about living space, the film identifies Shulman with the growth, decline (represented by the ornamental postmodernism that drove Julius into temporary retirement), and putative rebirth of metropolitan Los Angeles over the course of the 20th century.